For the purpose of public gathering, Lokmanya Tilak started public celebration of Ganesh Chaturthi. On behalf of this 12th khetwadi S.G.M. established their mandal in the year 1959. The senior members of Mandal Shri Anant D.Pawar, Shri Kamlakar S. Chavan, Shri Haribhau Shinde, Shri Karsan Patel & Shri Himmat Patel has given valuable co-operation for the success of thi festival by all means. In the earlier days Mandal collected one rupee as a dontion and making of highest idol of Ganesh was started in 1984. 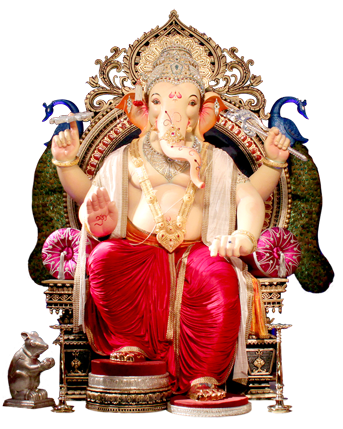 Year by year making of different kinds of idol of Ganesh 28 to 35 feet high, Mandal made the highest idol of ganesh 40 feet high in Parshuram Avtar in the year 2000, which is highest idol of Ganesh in Indian history. Mandal does an important work by taking part in social activities, religion and sports. The mandal is famous for Mumbai's highest maker of ganesh idol, also known for "Khetwadicha Ganraj". Beside 300 members working at the time of Ganesh Festival, local resident & devotees of the division are also giving valuable contribution. The year 2008 is the golden jubilee year. The Mandal does different kinds of religious programmes, therefore President of Mandal Shri Ranjit Mathur, executives and members are doing a great job as per the programme.